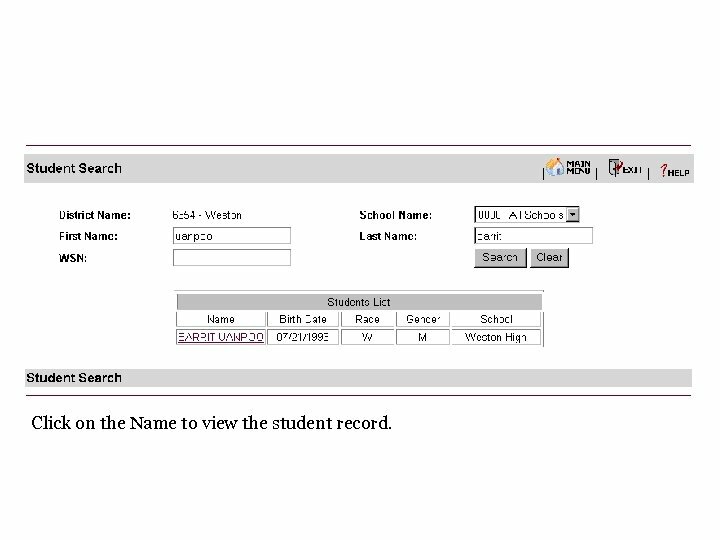 Name or WSN may used to locate a student. 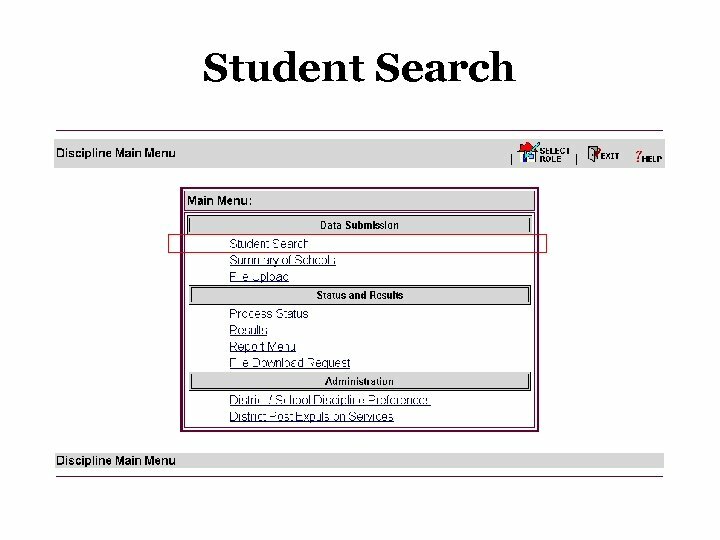 The student must be enrolled in the district for the appropriate school term to be returned in the search. 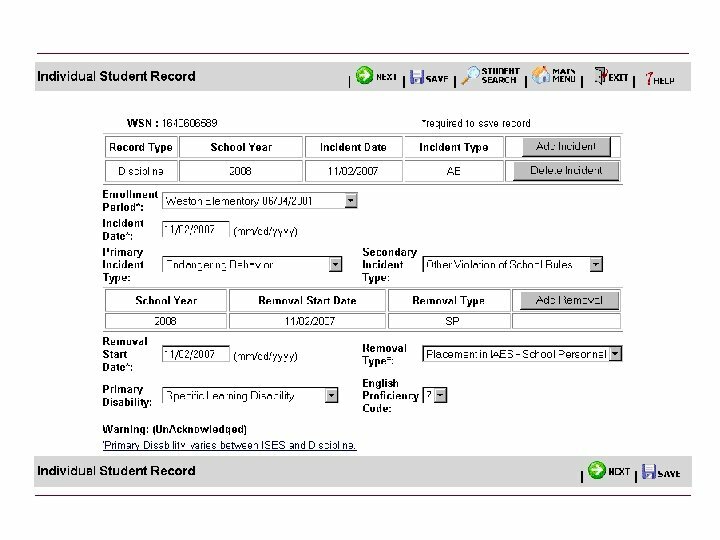 Click on the Name to view the student record. 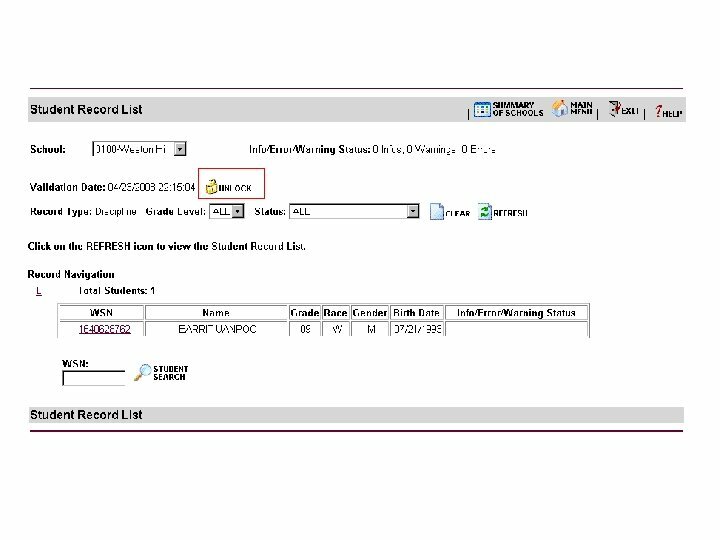 A second removal has been added to the existing incident. 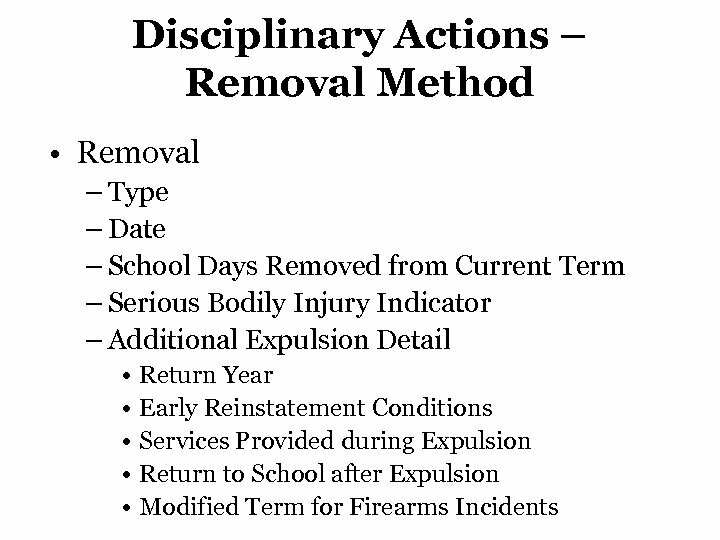 Note the additional elements required for an expulsion. 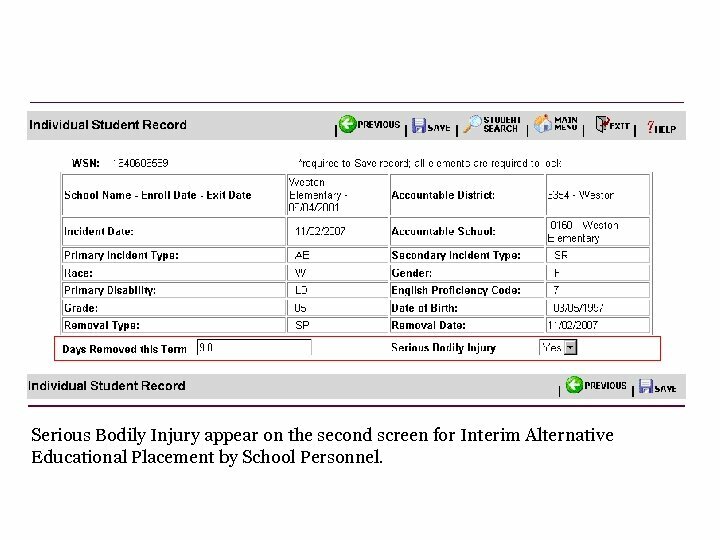 Serious Bodily Injury appear on the second screen for Interim Alternative Educational Placement by School Personnel. 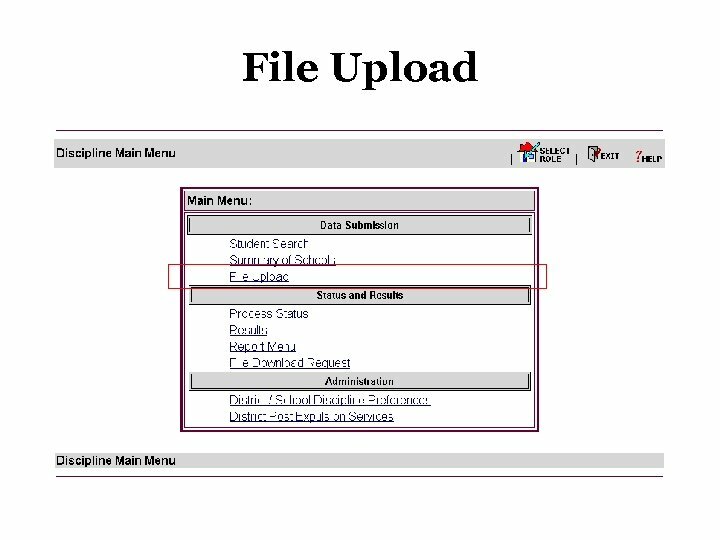 Similar to CD/YE the upload will replace all existing records for the school(s) included in the file. 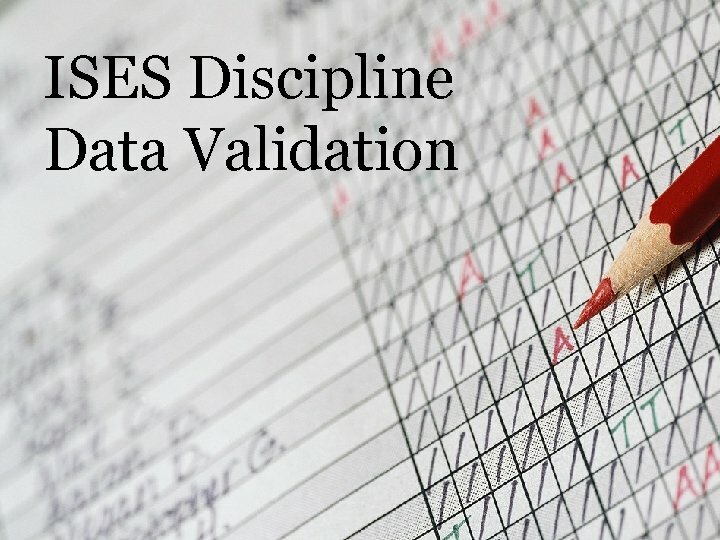 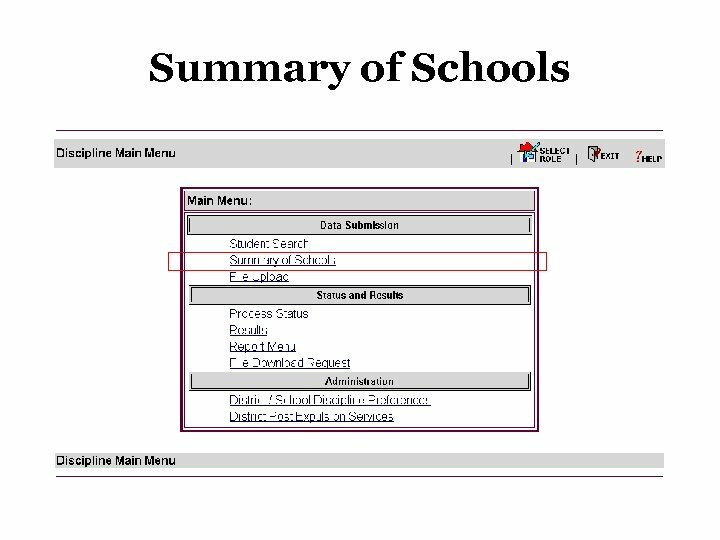 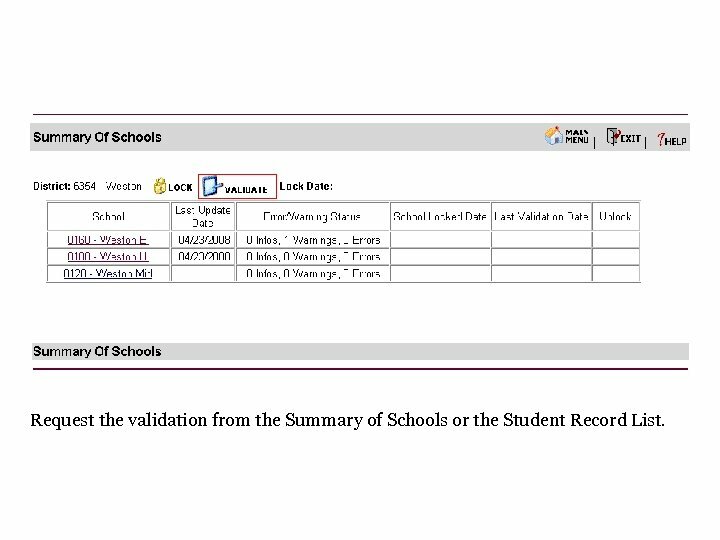 Request the validation from the Summary of Schools or the Student Record List. 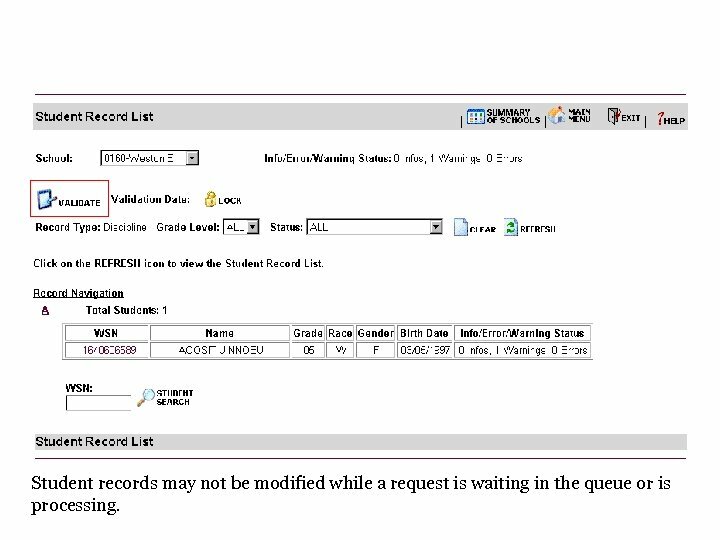 Student records may not be modified while a request is waiting in the queue or is processing. 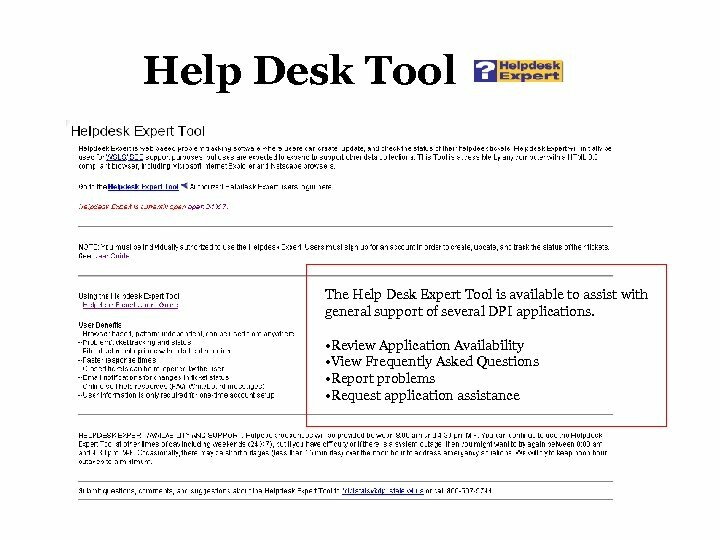 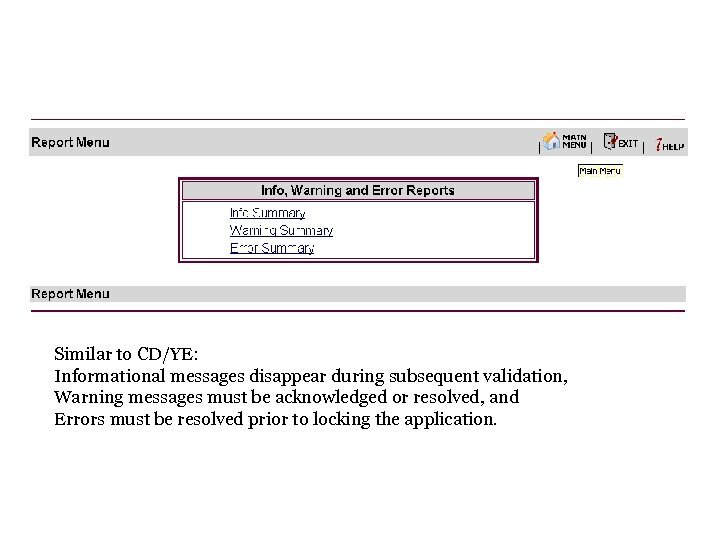 Similar to CD/YE: Informational messages disappear during subsequent validation, Warning messages must be acknowledged or resolved, and Errors must be resolved prior to locking the application. 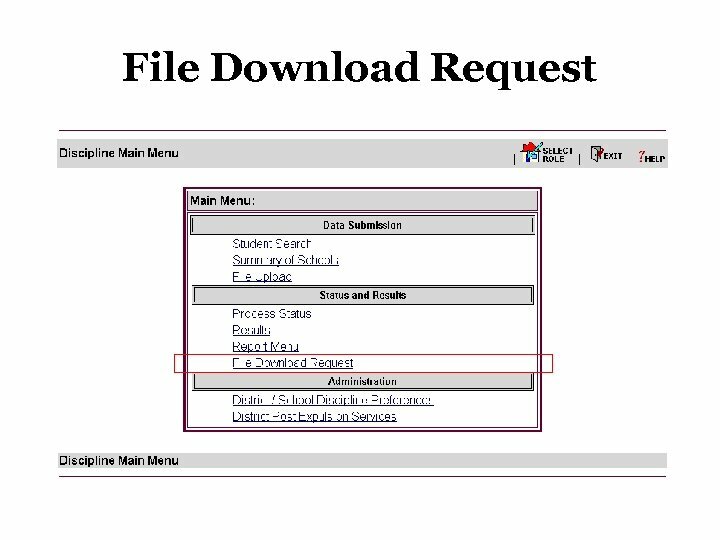 Only data from the current collection may be requested. 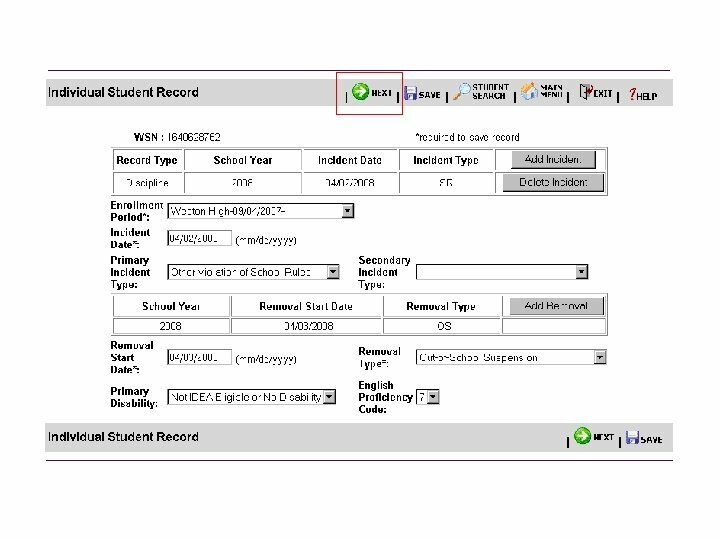 Unique records: • An incident must have at least one removal. 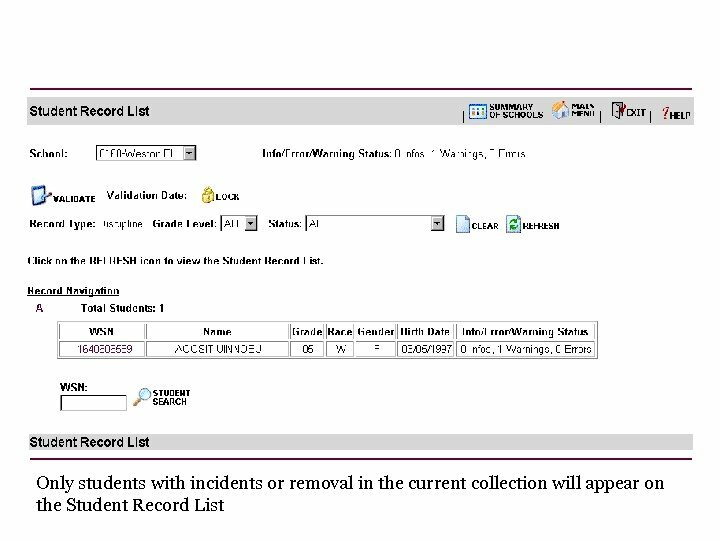 • A single incident may be associated with multiple removals, but no incident may have removals with the same removal start date, and removal type. 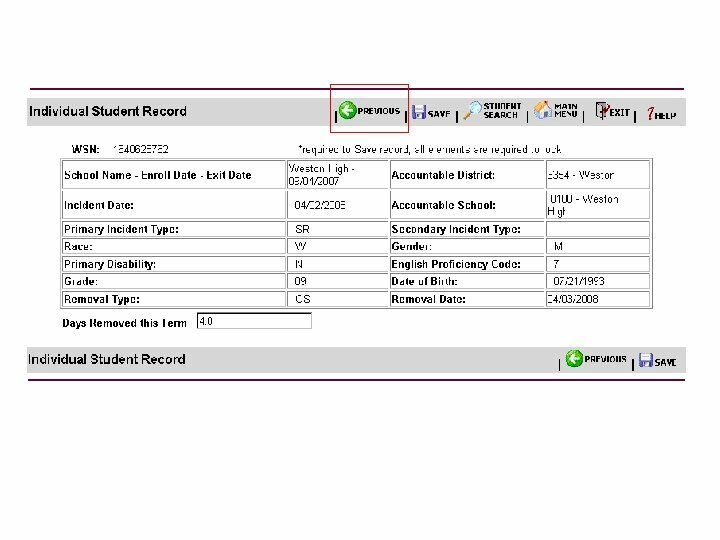 • A student may not have multiple incidents with the same incident date and removal start date within the same school. 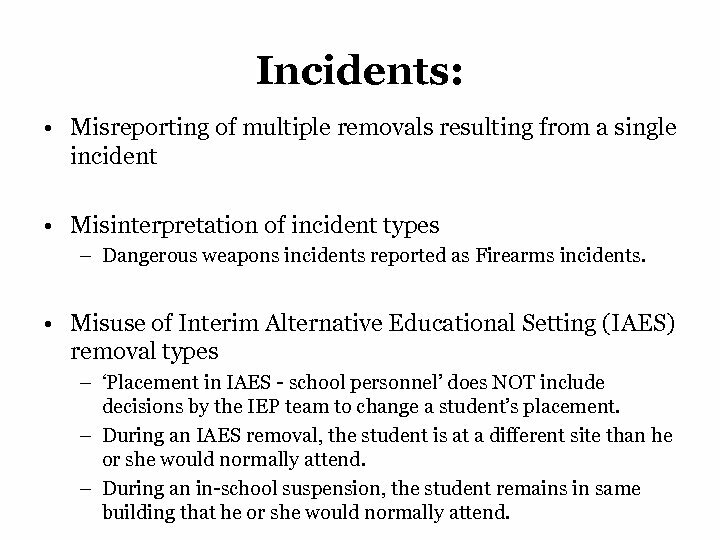 Incidents: • Misreporting of multiple removals resulting from a single incident • Misinterpretation of incident types – Dangerous weapons incidents reported as Firearms incidents. 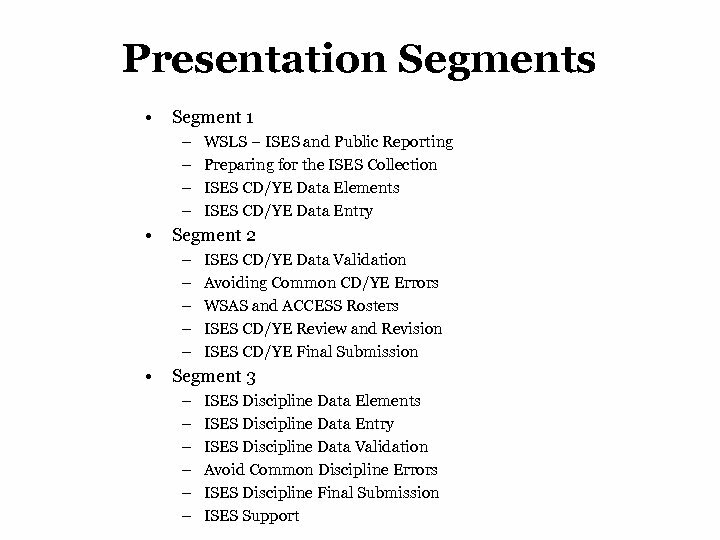 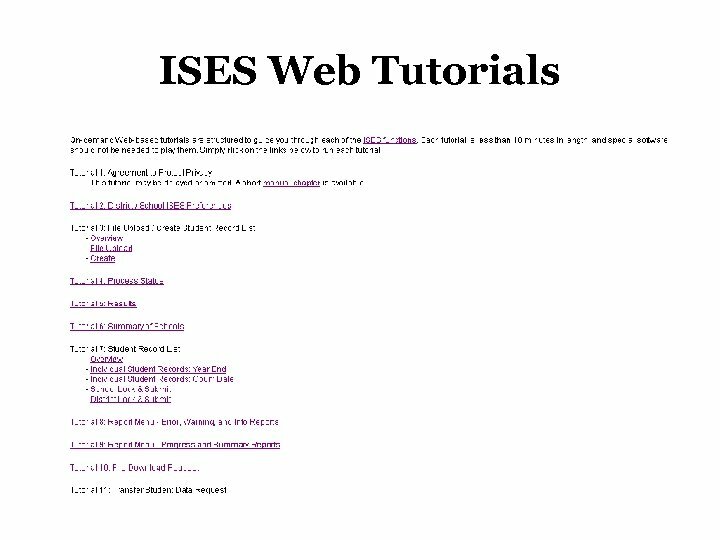 • Misuse of Interim Alternative Educational Setting (IAES) removal types – ‘Placement in IAES - school personnel’ does NOT include decisions by the IEP team to change a student’s placement. 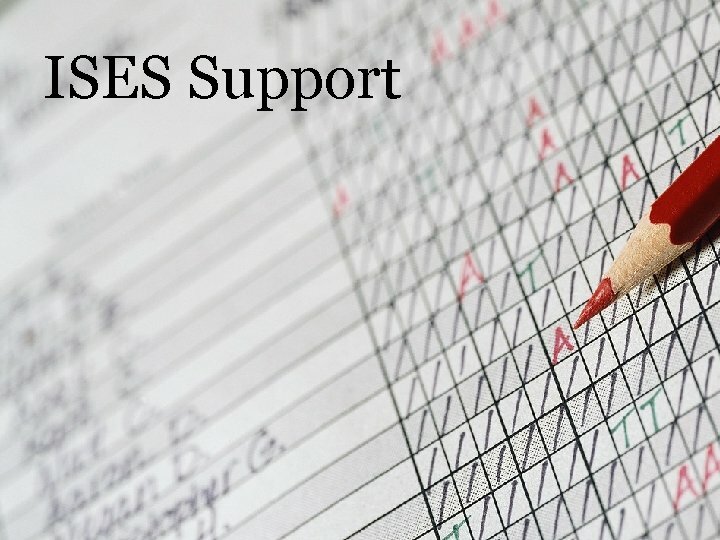 – During an IAES removal, the student is at a different site than he or she would normally attend. 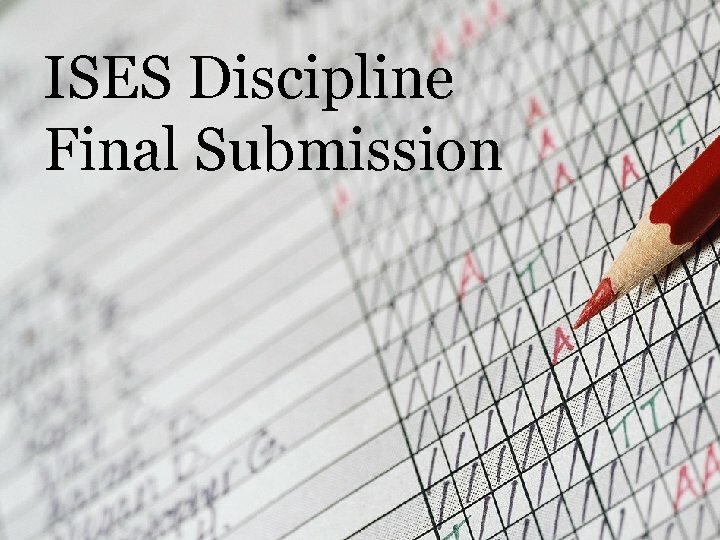 – During an in-school suspension, the student remains in same building that he or she would normally attend. 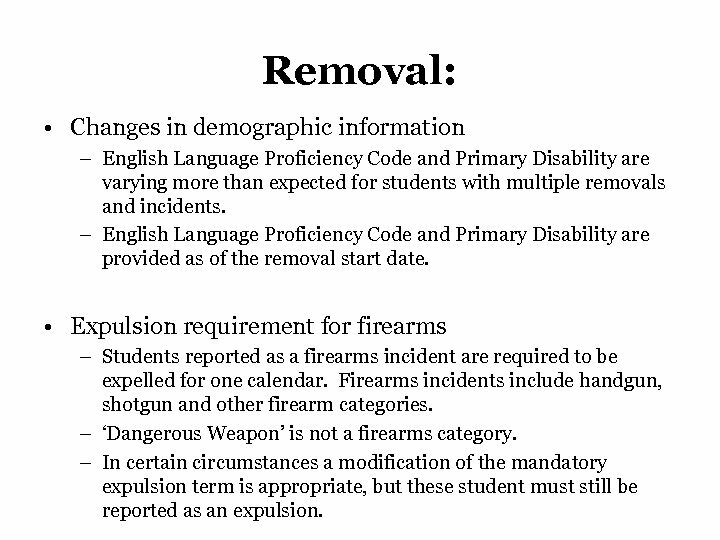 Removal: • Changes in demographic information – English Language Proficiency Code and Primary Disability are varying more than expected for students with multiple removals and incidents. 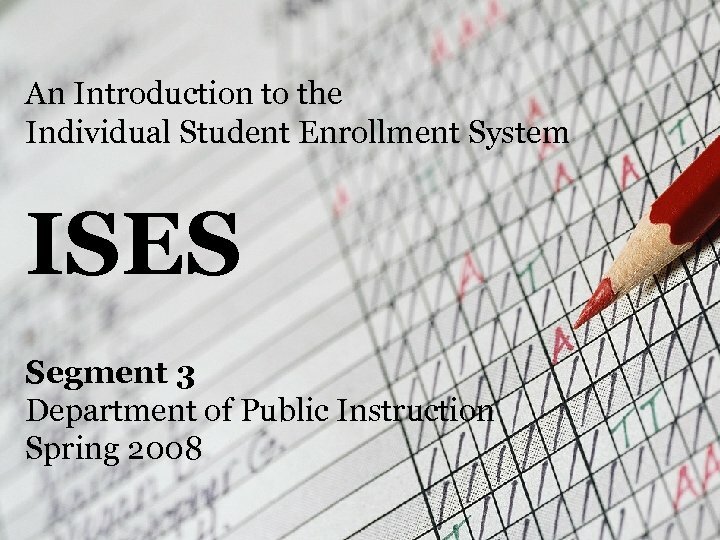 – English Language Proficiency Code and Primary Disability are provided as of the removal start date. 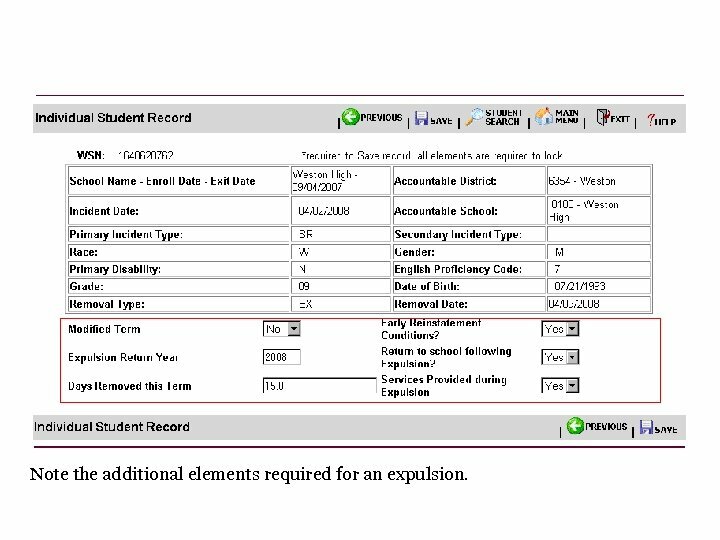 • Expulsion requirement for firearms – Students reported as a firearms incident are required to be expelled for one calendar. 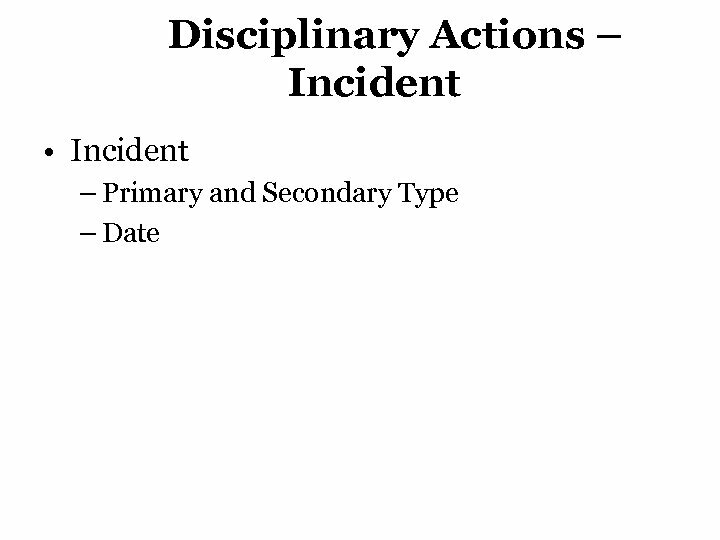 Firearms incidents include handgun, shotgun and other firearm categories. 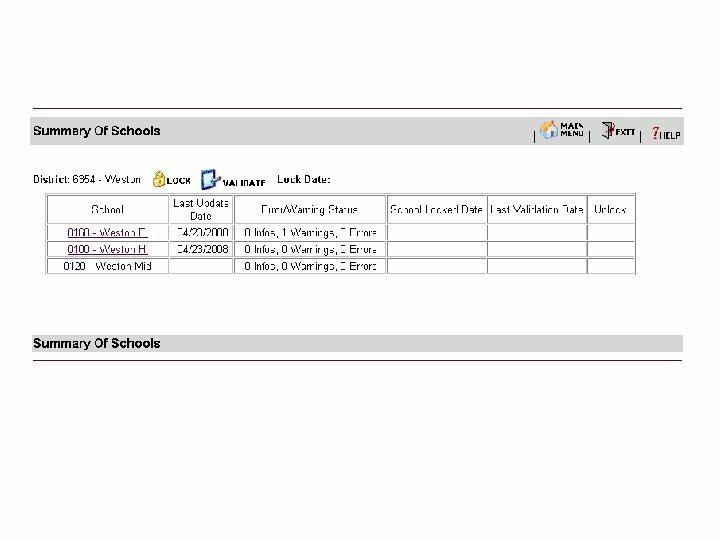 – ‘Dangerous Weapon’ is not a firearms category. 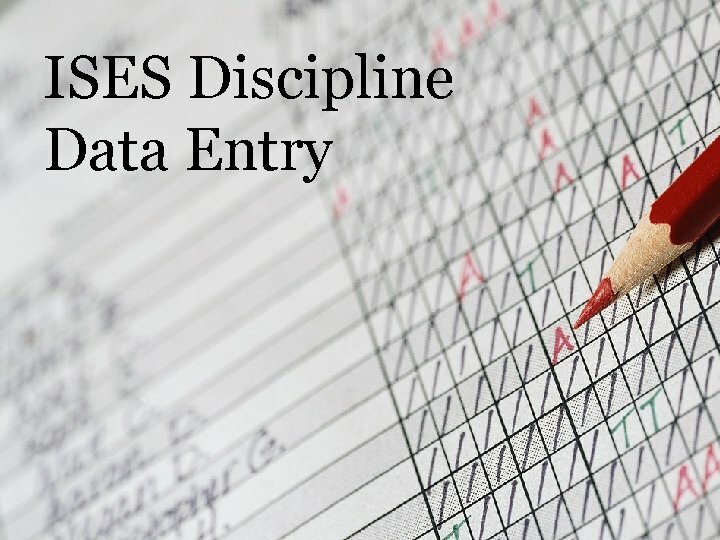 – In certain circumstances a modification of the mandatory expulsion term is appropriate, but these student must still be reported as an expulsion. 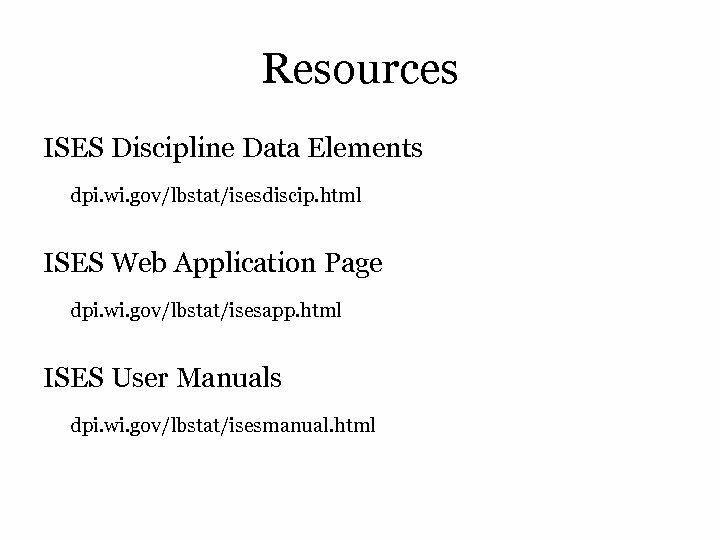 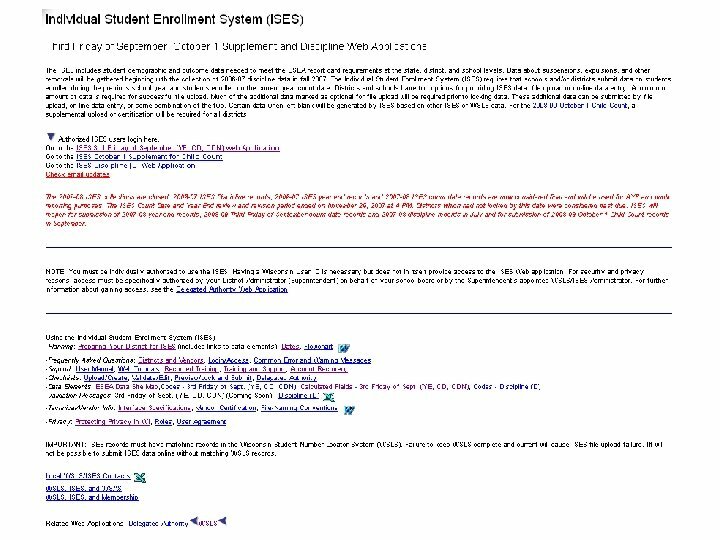 Post Expulsion Services After individual student data is entered, post expulsion services may be required. 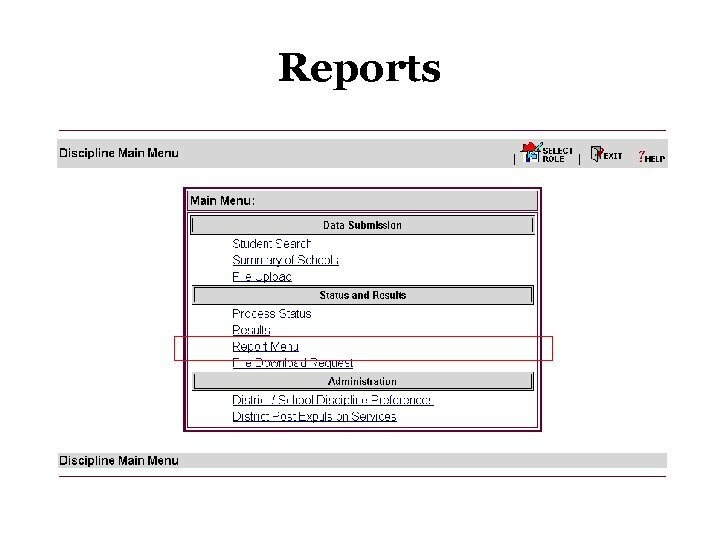 If non-disabled students were reported as expelled and receiving services in this collection, then services offered by the district must be identified. 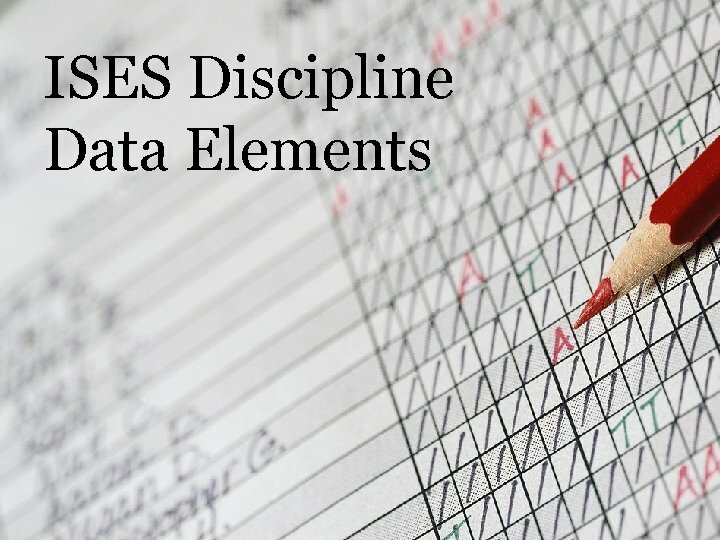 Discipline must be locked even if no incidents are reported for the district.